Greg Hamilton, left, of Baseball Canada checks with Josh Naylor (Mississauga, Ont.) selected 12th over all in the June draft. Photo: Alexis Brudnicki. He is the King Midas of Canadian baseball. Everything Greg Hamilton touches turns to gold. Maybe not literally, but there was that time he took Team Canada’s senior squad to the World Cup in Panama and then the Pan Am Games in Lagos de Moreno, Mex. They came home with bronze and gold medals, taking the top spot from Cuba for the first time in 44 years. And now four years later, a new squad with a mix of fresh-faced national team players and experienced veterans will look to defend their Pan Am championship on home soil in Ajax, Ont., but that’s just one piece of the puzzle for Hamilton. The Peterborough, Ont., native has shaped the way the sport grown and changed over the last two decades in Canada, directing the country’s national teams for Baseball Canada, finding and honing young talent on the Canadian Junior National Team, and bringing the best available players together to take on the world at the senior level. “He’s been amazing,” former big leaguer, senior team member, and current junior squad coach Adam Stern (London, Ont.) said. “He’s a guy who does the job of four people and he’s always trying to get around and do stuff like this and promote the game. Among the plethora of reasons why Canadian players want to suit up in the red and white, playing for Hamilton and the incredible coaching staffs he puts together – the current Pan Am squad is led by Ernie Whitt (Clinton, Mich.), Larry Walker (Maple Ridge, BC), Denis Boucher (Lachine, Que. ), Stubby Clapp (Windsor, Ont.) and Paul Quantrill (Port Hope, Ont.) – is right at the top. He’s helped many a Canuck along their way, and it is considered a great honour to be on his roster. “You want to go play for him because of everything that you know that he’s done in the country for baseball,” Pan Am gold medallist and Triple-A Buffalo Bisons pitcher Andrew Albers (North Battleford, Sask.) said. “A lot of guys in the Team Canada program, the national team program has been a stepping stone for their careers. Since their playing days with Hamilton have ended, a few fortunate men have had the opportunity to experience the other side of the game with him. Former Team Canada mainstays Stern, Shawn Bowman (Port Moody, BC) and Chris Robinson – who came out of retirement to play in the Pan Am Games – joined the coaching staff of the Junior National Team and gained an even deeper perspective of Hamilton’s efforts. “Greg’s got a tremendous amount of patience and a lot of belief in guys,” Stern said. “When I first started coaching with the junior team – I never got to play on it so I didn’t know the whole process of it – I saw that he really has a vision for some guys. He seems them through thick and thin when it’s easy to give up on guys. Major League Baseball’s first-year player draft this year was an eye opener for many who know little about baseball north of the border and the Canadian Junior National Team program. 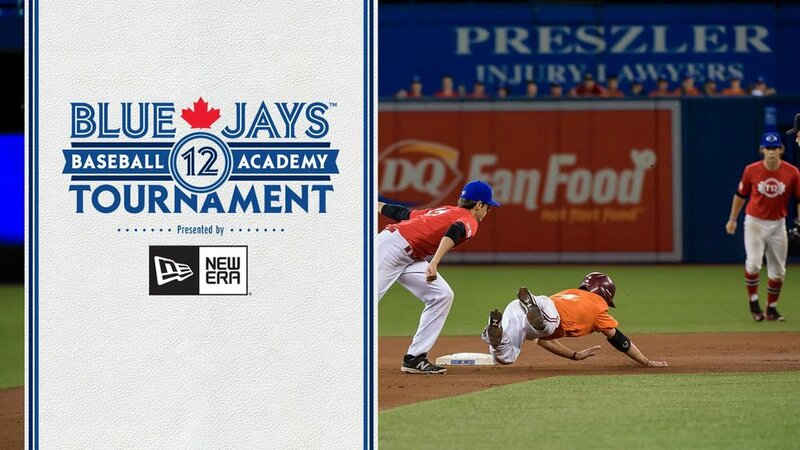 With 30 Canadians chosen, two in the first round, three on the first night, and a record-matching 10 in the first 10 rounds, some light was shed on the success that is continuing to build in Canadian baseball. Power-hitting first baseman Josh Naylor (Mississauga, Ont.) led the charge in the draft when he was taken by the Miami Marlins with the 12th overall pick, becoming the highest position player ever chosen hailing from Canada, and the fourth-highest Canuck ever. He was followed by right-hander Mike Soroka (Calgary, Alta. ), chosen by the Atlanta Braves at No. 28. Both play for Hamilton and the junior squad. “The national program that he’s built is unique and better than any other program in the world,” MLB scouting bureau Canadian supervisor Walt Burrows said. “There’s no program that brings players together as often as Baseball Canada does and exposes them to the talent level they face. The schedule that these kids play is harder than any high school player in the world. Added Quantrill, who has been on multiple Team Canada staffs and has seen his son Cal – just finished his sophomore year at Stanford – go through the process: “Our program is better than anyone’s. It is because of Greg and because of his leadership. He just cares so much about getting young guys opportunities. When all was said and done, of the 30 Canadian players chosen in the draft, 18 of them have played for Hamilton, or are currently still with the program. Some, like Ryan Kellogg (Whitby, Ont. ), Owen Spiwak (Mississauga, Ont. ), Chris Shaw (Winnipeg, Man. ), Michael Foster (Pickering, Ont. ), Philip Diedrick (Ajax, Ont. ), Daniel Pinero (Toronto, Ont.) and Joey Hawkins (Whitby, Ont. ), have been drafted more than once, this time after pursuing the college opportunities afforded to them at least in part because of Baseball Canada. Hamilton’s exceptional eye for talent and his patience with players are what others cite as the biggest difference-makers for the Canadian program. Not only is he able to find the country’s best players, but he finds them at all different ages and levels and helps all of them elevate their games. “I can think of numerous players who seemed like long-shot prospects or long-shot college players who ended up fulfilling their potential with the national team,” one American League scout said. “That’s what makes what Greg does so impressive. It hasn’t been just one player or one example. One particular player who stands out as having raised his stock immensely since he joined Team Canada is Demi Orimoloye (Orleans, Ont. ), the fourth-round selection of the Milwaukee Brewers who was thought to be chosen even higher heading into the process. Born in Nigeria, the toolsy outfielder joined the national team at 15 years old after his parents had to be coaxed into it by Hamilton because they didn’t completely understand the process. “He’s really good at developing players and he’s patient,” Burrows said. “He’s a coach and you need diplomacy and everything like that, but he brings players along slowly and lets them develop without the pressures of the performance that goes with it. Demi is probably one of the best examples of that. Soroka joined the squad two Octobers before signing a $1.975 million contract with Atlanta earlier this month. Playing with the PBF Redbirds at home in Alberta helped the young right-hander along the way, but Team Canada was a game changer. Soroka’s first-round selection wasn’t a shock to those familiar with Baseball Canada, but he hopes that his success and that of his teammates will help to get the word out about what has been happening in the Great White North. Hamilton played four years of collegiate baseball at Princeton University, where he also suited up for the hockey team in his freshman year. In 1991, the Ottawa, Ont., resident was the assistant coach and recruiting coordinator there. Two years later, he started a five-year tenure in Montpelier, France, where he captured three Division-I national championships with the Barracudas, who later named their ballpark after him. Didn’t know about that -- that’s the way he wanted it. Hamilton was also the pitching coach for the French National Team in 1994 at the World Cup qualifier before taking over the assistant coaching role at the University of Maine in 1998. Hamilton has been with Canada’s national baseball organization on a full-time basis for 16 years, though he made his first appearance on a coaching staff with Baseball Canada in 1992. Since then, things have changed immensely on the baseball landscape in the country. Though he won’t take credit for the progress, Hamilton is quick to express how much he loves working with the country’s up-and-comers. “I enjoy the front end of the process, and I really enjoy the patience and tolerance that it takes as a group, a collective, to get where we believe we can ultimately get,” Hamilton said. “It’s fun to watch the cycle. Every step in the cycle is enjoyable because you see the progression. Toronto Blue Jays broadcaster and former big-league catcher Joe Siddall (Windsor, Ont.) has seen the changes in Canadian baseball firsthand, from growing up in the sport when his only stint with the national team program was a trip to Albany, NY, to seeing his son Brett play for Team Canada as a high schooler. So, what does Siddall think when he hears Hamilton’s name? “Development of youth baseball in Canada,” he said. 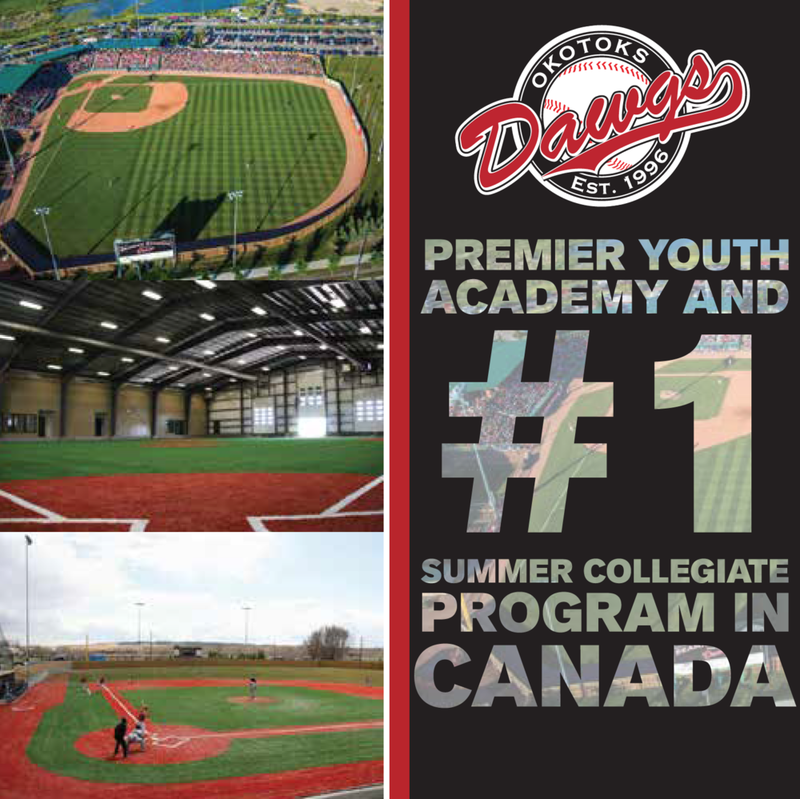 “And certainly putting baseball on the map in Canada. It’s come so far from my day. To see these kids – and of course having a son now who has been through this program, that I got to see up close and personal – and the experiences for these kids, it’s just off the charts for them to have the opportunities. Burrows has had a good look at the changes as well, keeping more records and documentation on the players from north of the border than anyone. “He’s been huge,” Burrows said of Hamilton. “He started around 1992 and then the Disney [trip for the junior team to face professional competition] started in 1999 and before he was involved they put together a makeshift team to play world championships right after the Canada Cup. There is no doubt in Burrows’ mind that the growth in exposure and experience for Canadian baseball players, leading to an upswing in success and recognition, starts with Hamilton. “Without what he does, baseball wouldn’t even be close to what it is,” Burrows said. “You won’t find any player who is playing who won’t say glowing things about what Greg and the program has done. It really creates a bond with the Canadian players because they become friends when they’re 16 years old and that bond continues when they go to the Pan American Games, the World Baseball Classic, all of the tournaments. While Hamilton is at the forefront of everything happening in Canadian baseball, he somehow always finds a way to blend into the background when it comes time for praise or recognition. Quantrill believes that trait is just one of the many things that make Hamilton the successful figure that he is. “What makes Greg really special is No. 1, he’s so humble,” Quantrill said. “He doesn’t like to take credit for all the things he does. He’s a very, very smart guy. Greg sees things for what they are, and that is that not all the Canadian kids are going to end up playing in the big leagues. Most will probably get at least the college experience of baseball, but he’s very objective about that and he wants the best for all of the kids. It isn’t just this superstar or that kid who is going to go on to be something special. “He’s created a program and a template that really works for all our kids and works toward getting them to the highest level they can play at. He genuinely cares and that’s his only focus, to help the kids. Nothing is ever done so Greg will be applauded. Everything is about getting that kid to the next level and giving him an opportunity that you just don’t get in Canada. Seeing things for what they are is a trait that Hamilton tries to pass on to those who come through the program. With wide eyes and big dreams, players are easily discouraged when they join the Junior National Team and match up against professional players who are older, stronger, bigger and faster. But Hamilton makes it easier for his players to look beyond that, and figure out how to make the most of everything they have to offer. “The biggest thing we try to do is highlight the fact that there are not too many five-tool players,” Hamilton said. “You have to figure out what you can do at this level and be confident in it and be comfortable conceding in other areas where you may not be. Some of the things, you’re not going to be able to do, but your strengths are going to be good enough. So they need to believe in those strengths. “It’s important to have confidence around the fact that maybe they don’t have power as a hitter but they can play the game in a different way – they can move the ball around the park, they’ve got speed, they can play some defence – to get them to believe that that’s good enough and that they’re not going to be able to have success here and beyond unless they figure out who they are as a player. For the first time, they look on a field and see guys who are big, strong and fast … they go from the game is relatively easy, for lack of a better term, to getting their confidence shifted in a hurry. When it comes time for the senior team to compete, Hamilton finds a way to get the most out of his players while also working with them, their affiliations, the stipulations put on them, and all of the outside factors contributing to their careers, and those players are incredibly appreciative of his efforts. That’s just one of the reasons why winning the first gold in Baseball Canada’s history was so special for the players involved, being able to give back a little bit of what King Midas has been working on for so long. “When we won the Pan Am, the reaction that Ernie had was incredible, but more specifically Greg,” Team Canada veteran and current York Revolution pitcher Shawn Hill (Georgetown, Ont.) said. “You could just tell the utter joy that overcame him. Basically all the fruits of his labour came to fruition there. And I was happier and more proud that we were able to win for him – and not just for him but for the organization, knowing what it was going to mean for the organization moving forward – than I was for myself. It was still cool and all that, but I knew what that win meant for them and that’s obviously going to help catapult what he’s doing back home. “When I was drafted [by the Montreal Expos in the sixth round in 2000], they had the program going and it was doing well but compared to what it’s doing now and the amount of Canadians who are coming in at a higher level now, and the exposure that he’s able to give them is night and day – and after 15 years, which I know is not the shortest time, but it’s obviously not the longest time either – so it’s incredible.